ANREV is pleased to invite you to register for our training course in Singapore on 24 May 2017. Experts from the industry will cover commercial, tax and legal aspects of fund structuring. We would like to thank PricewaterhouseCoopers for providing the event venue. John is the real estate Partner of Orion Partners group, having helped set-up the business in 2004. Orion Partners is a HK-based boutique alternative investment management group focused on major north Asian markets, jointly owned by BNP Paribas and the operating partners/executive team. Orion Partners real estate team manages country and sector specific Funds and mandates covering aged-care/heath care, office and retail for a select group of international institutional investors. 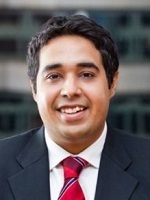 Based in Singapore, joined Morgan Stanley in 2012 and oversees Asia Investor Coverage for MSREI. Prior to joining Morgan Stanley, worked for CBRE Global Investors (previously part of ING Real Estate) in Singapore, Hong Kong and The Netherlands working on fund structuring, portfolio acquisitions, business development, client services and capital raising since 2001. Executive Board member of ANREV and Chairman of the ANREV Events Committee. 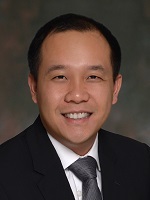 Cuong Nguyen is an executive director at PGIM Real Estate and head of Asia Pacific Investment Research. Based in Singapore, Cuong is responsible for leading PGIM Real Estate’s research efforts in Asia Pacific and overseeing the research teams that support investment management activities across the region. Cuong is a member of the Asia Pacific Investment Committee. Before joining PGIM Real Estate, Cuong was head of research and strategy for M&G Real Estate Asia, where he developed market forecasts and identified long-term trends across the Asia Pacific markets to drive investment decisions, product development and regional business strategy. Earlier, he was a research analyst at Prudential Property Investment Managers, Ltd. in London, a part of Prudential PLC and unaffiliated with PGIM Real Estate. Previously, Cuong was a consultant for Watson Wyatt LLP. 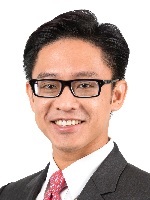 Daryl is a counsel in the Clifford Chance Funds and Investment Management Practice in Singapore. He is a Singapore qualified lawyer and advises clients on the formation of and investment in a wide variety of funds. He also counsels fund managers on licensing and ongoing compliance requirements. Daryl is recognised as a “Next Generation Lawyer” in Legal 500’s Asia Pacific Guide 2017 and is an active member of the Singapore Academy of Law's Promotion of Singapore Law (Funds) Sub-committee. Elysia Tse is the Head of Asia Pacific Research & Strategy for LaSalle Investment Management. She returned to LaSalle in 2016. 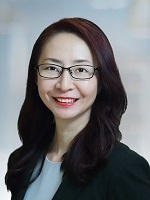 Elysia was previously the Head of Investment Governance, Strategy & Research Asia Pacific for Aviva Investors and subsequently the Head of Research and Strategy for J.P. Morgan Asset Management – Real Estate Asia Pacific (as part of the M&A). Before returning to Asia, Elysia has over a decade of experience in real estate investment research and strategy in the U.S. She has held positions in real estate research and strategy teams at BlackRock based in New York and LaSalle based in Chicago. Elysia started her career in Hong Kong in 1998. She holds a B.S. from Xiamen University and a Master’s degree in Real Estate from Cornell University. In 2011, Elysia was named a Rising Leader by Commercial Property Executive in the U.S. She sits on the Advisory Board of Cornell University Baker Program in Real Estate. Jayesh joined Alter Domus in November 2016 as a Senior Manager. Prior to joining, Jayesh worked for PwC in Hong Kong for 10 years, in the Assurance Financial services practice, specialising in asset and wealth management. His clients included several large Asian and global hedge and private equity investment groups. He has extensive knowledge on various financial reporting standards, including IFRS, US GAAP and the INREV/ANREV reporting guidelines, and the is familiar with application of valuation standards such as the IPEV and PEIGG guidelines. In addition to this, he has conducted internal training sessions on private equity, presented to fund services groups on the outlook of asset management in 2020, and co-edited the Review of Investor Reporting Trends for private real estate funds with ANREV in 2014, 2015, and 2016. Jayesh is a CPA and Member of the Hong Kong Institute of Certified Public Accountants, and is a FRM holder with the Global Association of Risk Professionals. He also graduated with a BBA from the Hong Kong University of Science and Technology.